The first 44 migrants were transferred on Thursday from the CARA asylum center in Mineo, Sicily, which the government plans to close by the end of this year. The migrants transferred so far are all adult men without children who have been staying at the center for years. Twenty-five were transferred to Trapani while 19 others were taken to Siracusa and Ragusa, in Sicily. Six men who were also supposed to leave the center on Thursday are believed to have left the facility on their own. Families with children and migrants considered to be more vulnerable, in particular women traveling alone with children or people with health conditions, are remaining in Mineo for now, officials said. An additional 50 migrants are scheduled to leave the center on February 17 while 50 others will be transferred 10 days later, as announced by the interior minister, who plans to ''close the CARA by the end of the year." 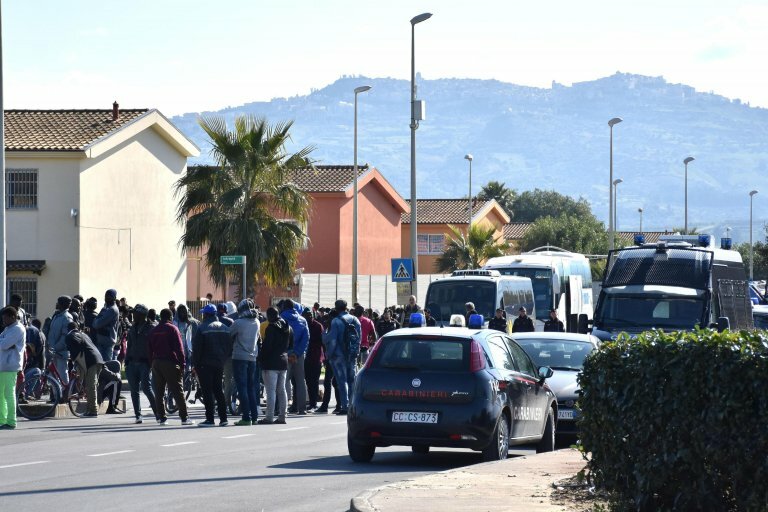 Officials said those who have already left the center were accompanied by cultural mediators and police and had been warned days ahead about the move.The CARA facility in Mineo is the largest center for asylum seekers in Europe and the second being closed in Italy after the one in Castelnuovo di Porto near Rome. Mineo hosted 1,244 migrants before the transfer. The number of residents is now under the 1,200-threshold which enables those managing the center and the government to terminate their contract without penalty. The 220 employees currently working for the center now fear losing their job. A reported 170 others have already been fired. The CARA in Mineo was inaugurated in 2011 by the government of Silvio Berlusconi and has hosted over 4,000 people at the former ''Residence degli Aranci'' which was built to house American soldiers deployed at the Sigonella base and their families. A number of investigations are pending over the center. The main probe opened by prosecutors in Catania concerns allegations of bid-rigging related to the CARA, between 2011 and 2014. As part of this case a former Undersecretary for Agriculture, Giuseppe Castiglione, is also under investigation. The first hearing of the trial is scheduled for March 20.